FAIRTRADE - is it fair? Everywhere I looked recently there were billboards promoting the FAIRTRADE Mark, which reminded me of England's own Fairtrade promotion about seven years ago. At the beginning of 2000, the UK had huge marketing campaign that encouraged consumers to shop with their conscience and choose products with the blue and green logo. The decision to start marketing these products in Finland has taken too long, but now the campaign has begun it feels as though supermarkets are merely promoting a new high-end lifestyle choice, instead of encouraging its shoppers to help disadvantaged producers in the developing world to get a better deal from their produce. The question in the UK seven years ago was: Who really benefits from the campaign? Any consumer whose conscience or curiosity has inspired them to change their coffee brand or buy fruit with the appropriate logo will naturally do so in their local supermarket, but when faced with the cheaper alternatives they usually change their mind, which I know from my own personal shopping experience. Therefore, the supermarket will profit in some way from this Fairtrade drive. Supermarkets have every right to carry these products on their shelves; in fact, they have a moral responsibility to offer an alternative products to their customers, but what about the little guy? If there is a retailer that should be promoting Fairtrade and benefiting from the promotion, it is the hundreds of ethnic shops across Finland because the owners are a product of an unfair society. Many disadvantaged immigrants coming to Finland have become entrepreneurs and opened their own ethnic store usually because of limited employment choices. They sell goods that allow minorities to be reassured of their own ethnicity, but now supermarket chains are finally offering their own ethnic aisles at lower prices they are feeling the injustice of business in Finland. An ethnic shop will not offer the same variety of brands and will specialise in only a few different brands resulting in a higher proportion of sales of one item. If a customer has made the extra effort to visit an ethnic store, then they are going to purchase the product they wanted, thereby helping both the producer and the entrepreneurial storeowner. In the UK, health food stores and ethnic shops prominently sell these products and the public commonly associates them with these retailers. The concept of Fairtrade is not charity or handouts, but to ensure that the disadvantaged manufacturers of cocoa, coffee, fruit and even footballs receive a fair price for their product. It also encourages producers to improve working conditions and product quality, to increase their environmental stability, to invest in the welfare of their workers. In the same way, the owners of ethnic stores didn't come to Finland for handouts, but to make an honest living and improve their own quality of life. How can a supermarket chain participate in and promote a scheme that helps underprivileged producers across the world, while they still sell other products that have originated in countries that abuse their workers? Supermarkets and other corporate companies have a social responsibility, so is this hypocritical irony or just business to them? The Fairtrade guarantee is a great idea, but it should begin to also benefit the other end of the retail cycle, such as the ethnic stores. 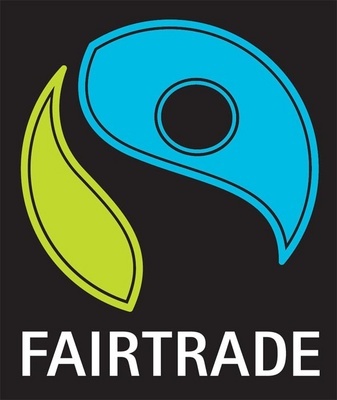 Obviously, if Fairtrade products are not profitable, then they may vanish from shops completely and that would be a catastrophe, but the fact that they are available doesn't mean that enough customers are buying them as the alternative. More customers should switch to these products, but while there are cheaper brands on the shelf and the public's conscience switches off once under the supermarket's fluorescent lighting, there won't be any significant changes. Ethnic stores should become the primary location for Fairtrade products because that really would be fair both economically and morally. Although I agree with the sentiment of encouraging small entrepreneurs the wider distribution of fair trade products in general markets probably helps the original producers more than having their products in small eclusive shops.